This tool set is the “real deal”! For real projects, this quality German-made 15-piece tool set is the “real deal”! 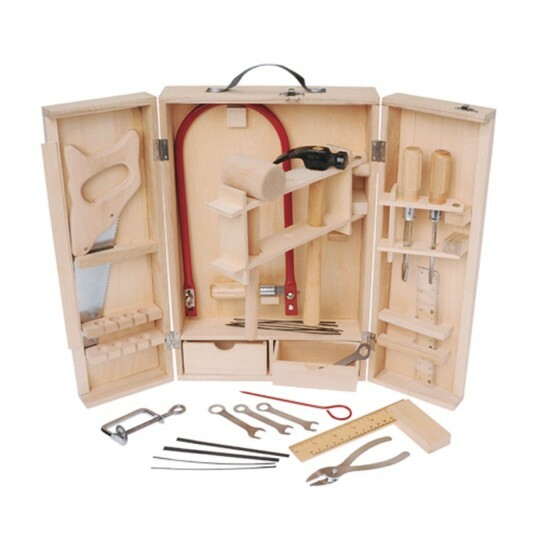 In one convenient wooden tool storage box you'll find an actual 12” long steel saw, 3 screwdrivers, a sturdy wood and steel hammer, pliers, carpenter’s ruler, and more. For ages 8 years and up, younger with adult supervision.